A fun climb for beginners, hence this unpretentious mountain is perfect for my goal. It was Friday, April 19, 2013 last day for a workweek and I was preparing for what can be an uneventful weekend alone. I lent my camera to my travel buddy so he could cover his explorations of some amazing islands and beaches in Mindoro, I just couldn't come, not without going AWOL from work, so I scrounge it up hoping that this uneventful week would pass. In the middle of the day, I received a tagging of invitation in Facebook to join a fun climb the next day after. It was very spontaneous that I had to double check if I am ready, going over my things, found my cheap tent, my dry shirts most of them in the laundry, my cargo shorts are ready (just remembered I had no trekking pants), and lastly I have NO camera. You can stripped me with everything, but when it comes to my lagaw's, I would feel naked without my camera as my travel buddy. I almost declined the offer when I remembered a friend having the same exact camera unit as I do. After a few frantic calls, FB messages got me camera ready and good to go at the end of my Friday night shift. Certainly, a way comes to those who have a will to do so. For the last 3 months, I've climbed mountains with Sykes Outdoor, and I'm enjoying it more and more. For the feel of being at home in the environment you are in, the camaraderie you can easily build with people, from fellow campers and hikers to friendly strangers along the trail. What's more is that for the most part, if going on a group hike, I spend less and less than I would have had I planned a more elaborate trip somewhere maybe the beach or a historical town. With some ready and improvised equipment, I got my trekking bag ready for me in a couple of hours, fun climbs are really starting to get me. I am now in a chase for Sunrise or Sunset views from mountains, whereas I've covered scenic beaches and its golden hours. Camping in mountains feels more mystical, I can also lie on my back and just stare blindly across the sky under the stars, feel the creeping cold and fogs enveloping the mountain bushes and trees. Always, I push myself, trying to hold off thinking of our next 5 minute stop from every 15 minute of hiking up steep trails, singing to myself, while avoiding the urge to drink all the trail waters I brought. Found ourselves a secluded spot to camp, here we are with our Socials as we cook our dinner. I can say, I'm ready and on the way to become a serious mountaineer, but I'll always be first and foremost a photographer who tries to experience all that comes along. 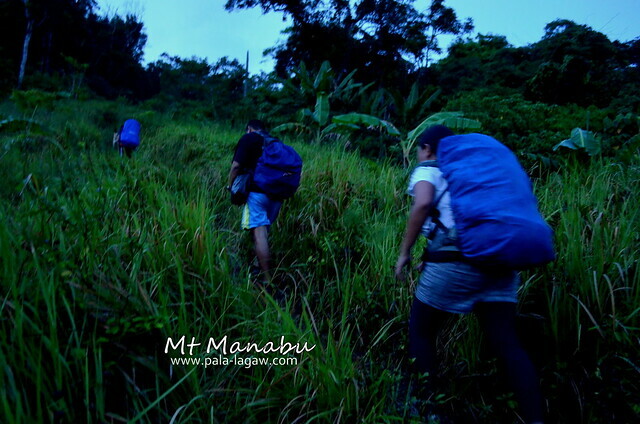 The trails of Mt Manabu in Sto Tomas, Batangas was fairly easy, but it is my first time to climb a mountain with trails under tree tunnels, thick foliage of faunas, that without the borrowed flashlight, I would have stumbled, but as it is in adventures like this, by meeting new mountaineering buddies, you just don't meet a new friend, it feels like having another sibling that looks after you. So this from now on, would be my new addiction, and Mt Manabu being the 4th Mountain I hiked this year would be forever memorable. 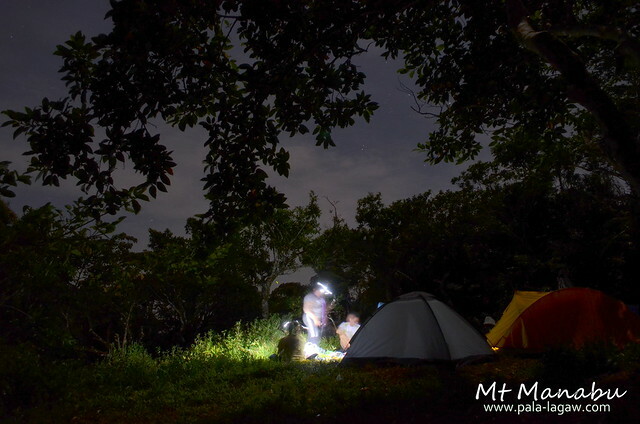 It was well, pitched black when we reached the summit of Mt Manabu, marked by a stone cross with the campsite some 30 meters below it. We behold the flickering lights adorning Lipa City, Batangas and the hovering views of nearby mountains, I didn't made any research prior to coming here, but Mt Manabu is part of a mountain range with 3 peaks, Mt Manabu being in the middle of it. We chose a secluded spot to build out tents for the night, while I keep mum about my scrapes as I slid twice of some steep muddy trails, I didn't realize that my cargo shorts, wet as all of my clothing were for my excessive sweating is covered in mud. It was nothing, and we all laugh it off as another fun moment to remember. We sat down as we all gave a helping hand with the ladies preparing dinner, we were a pack of 6 all good natured 3 ladies and 3 gents. Pasta for dinner, and we all named it Pasta Manabu aka Aglio e Olio, some raisin bread dipped in Olive oil with Balsamic vinegar and Parmesan cheese, also fruit salad for dessert. Who says that one can't go Al dente while camping in a mountain? We just busted it. As it is, good food brings good vibes, though summer nights are cold in Batangas, it was cloudy all over but we weren't dampen by the rain. Laughing as we share travel stories, plan on incoming one's, and I can't really help but forget on details about them, I like it this way, spontaneous and unexpected, makes the experience all the more fulfilling and memorable. And as we turn our lights off, I slept the first minute I laid my back on my foil covered bedding's, this won't be a long night but at least I'm going to be warm even though I'm alone in my tent. Found ourselves in an open glade with tall grass at twilight, reeling with the light as we have been walking through some darkened trails under heavy foliage of trees for some time now. The sunrise scattering golden slanted light across our campsite. I was the first to wake up, as I see golden light filtering in my tent. I'm refreshed, but the sleep felt like it happened for only a few minutes. Stepping out, stretched my limbs and instantly realized that my buddies are still deep in slumber, so with the snores sounding all around. I immediately wished for a hot coffee, it was cold, and the fog is clearly visible in the surrounding trees, while sky is a glorious hue of red and plum. My camera was the first thing I held, while I feel strongly feel about going off to hike the summit, I decided against it since I don't want to wake anyone or walk off alone in a strange place. So I contended myself with the views of sunrise from our campsite. Breakfast was a breeze, and as we break camp and hike up to the summit altogether. It's going to be a memorable day, and one of the many incoming days to be remembered from our photos and the gladdened hearts of each. This ends here, but the camaraderie continues. 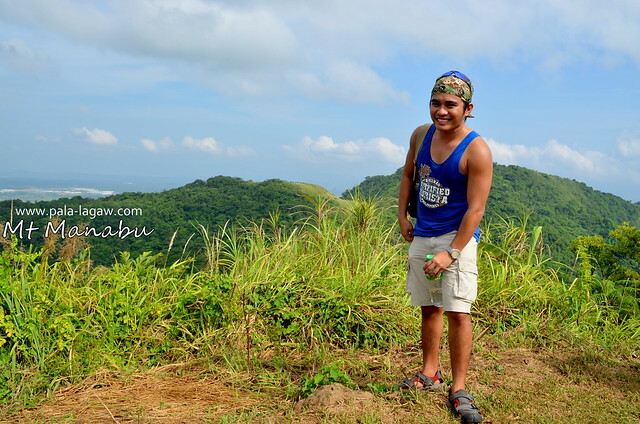 Felt like a promissory photo op, your humble blogger finally his own photo taken at the summit if Mt Manabu. The rowdy bunch of Thrill Seekers from L-R, Ruben, Mye, Glo, team leader Anne, Ed and myself making pa cute after we break camp. Mt. Manabu is a very interesting place. Thank you for sharing this with us. My friends and I recently went up Mt. Manabu. 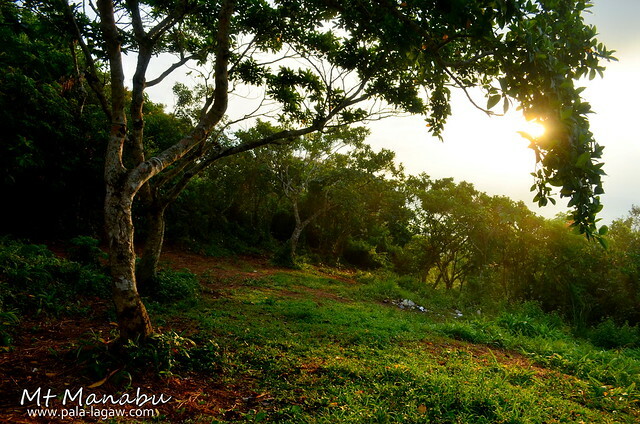 The lush forest and beautiful landscape at the summit was a refreshing and relaxing sight to behold. The peak is always worth the climb. 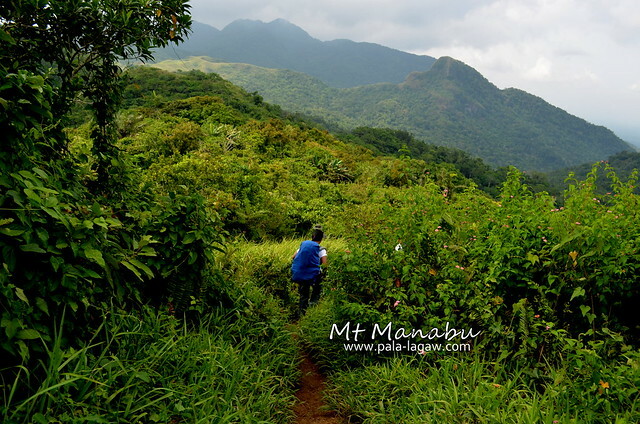 Mt Manabu looks beautiful. Yes franc! thanks for dropping by! I heard about Mt. Manabu during college days but never had the chance to step foot. 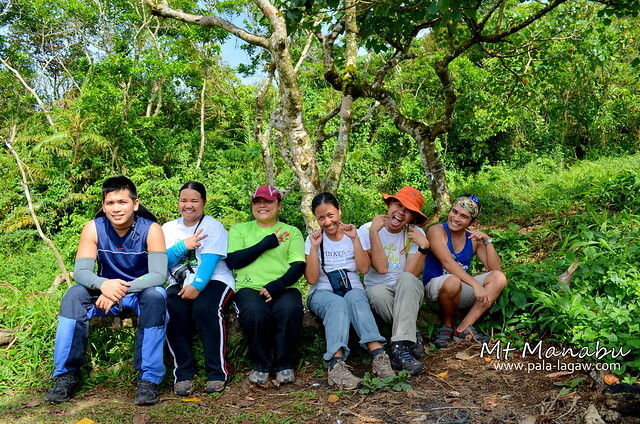 Some mountains and hills I've visited and enjoyed were Maculot, Famy, Banahaw and Cristobal. 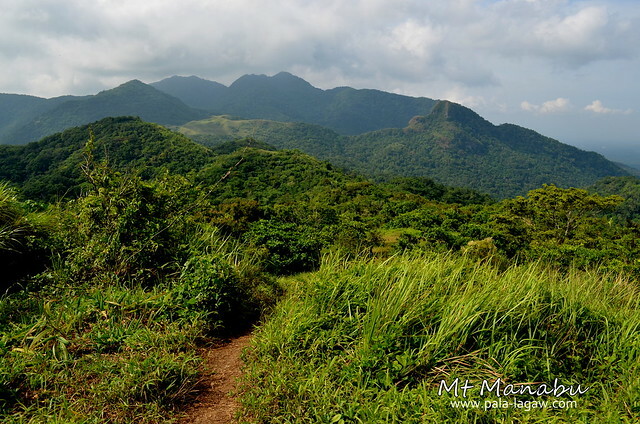 Mt Maculot, I've been eyeing it since I climb Gulogod baboy..
oh! I didn't know that Mt. Manabu is just near my place. 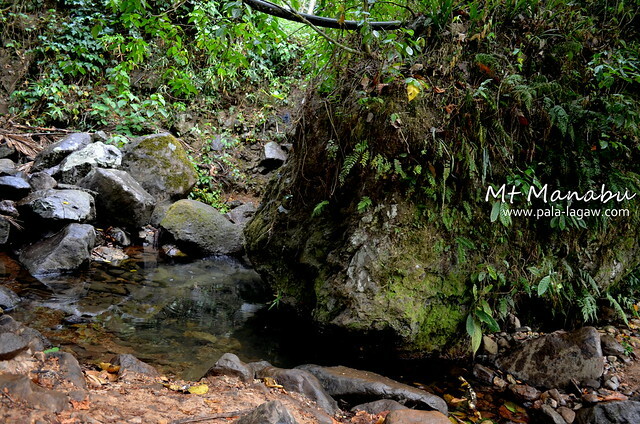 Its been a long time since I hiked and probably this one is a must-try again. Wow i love adventure me and my wife have a plan in these adventure pwede bang maki join sa inyo in your next climb?